Lower Age Limit of contenders should be 20 years and upper Age Limit will be decided by selection committee of organization. Age Relaxable is given to candidates belonging to reserved category candidates (SC/ ST/ OBC) as per rules and regulations of Navodaya Vidyalaya Samiti. For PGT- Rs. 27,500/- pm, Hard Station Rs. 32500/- pm, consolidated. For TGTs & Misc.- Rs. 26,250/- pm, Hard station Rs. 31250/- per month consolidated. FCSA- Rs. 26250/- per month consolidated. Shortlisted aspirants for NVS Pune TGT / PGT / FCSA Jobs will have to attend documents verification process which will be held on 24-06-2017. Candidates who applied for the Pune NVS Jobs 2017 should attend for the Interview round. 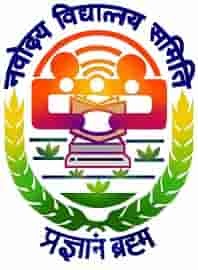 The recruiting department of Navodaya Vidyalaya Samiti will conduct the selection round. Candidates should visit the official website of NVS, www.nvsropune.gov.in. Now, search for the NVS Pune Post Graduate Teacher Recruitment 2017 notification. Download and Read the advertisement carefully. Know the eligibility details to apply for the NVS Jobs 2017. If eligible, candidates can download the application form. Start filling the form correctly as soon as possible. Attach all the documents and Photo with signature. Recheck the application once before sending. Finally, send the NVS Form to the given address.